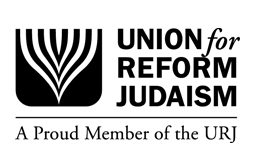 In fall 2018 the CCAR released a responsum on the question of the Jewish legal imperative to pay men and women equally. The Reform Jewish Quarterly Fall 2018 edition is now available online for view and download. It includes articles on the gender wage gap through policy, testimonials, and data, and more. Pay equity is inherently a Jewish issue. Raise the issue of the gender wage gap in your community from the bima. Here are some samples d’var Torah on the topic of Equal Pay Day. International Women’s Day is March 8, 2019, and Equal Pay Day is on April 2. RPEI, with the great assistance of the CCAR and ACC, has produced materials to help all of our organizations and our members highlight the issue of Pay Equity during this season. Use the Equal Pay Living Talmud for inspiration when teaching about pay equity in your community. The resource includes quotes from Jewish texts and prominent Jewish individuals. As a product of our generous grant from Jewish Women’s Foundation of New York, we hired an economist to review all current data available to us from five organizations that represent Jewish professionals in our community. Elise Gould, a senior economist at the Economic Policy Institute, compared and aggregated these data sets in order to measure the current wage gap, helping guide our progress in narrowing the gap for years to come.